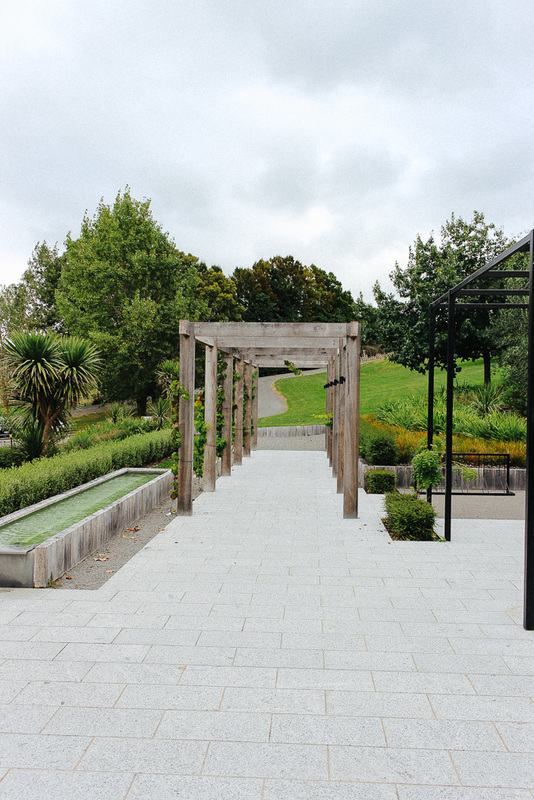 A Weekend At Luna Estate, Martinborough! Martinborough is the most beautiful place. I was lucky enough a few weeks ago to get to Luna Estate, one of Martinborough's best know vineyards, and experience the process of winemaking with Joel, the head winemaker of the Estate. Luna Estate is really growing in the Martinborough, and they've recently opened a second block of vines at 'Bluerock'. It's amazing to see how much tijme and energy has gone into making Luna a success. We were, of course, lucky enough to try the wines themselves, and let me tell you - the hard work shows! Matt and I started the weekend by driving out to Martinborough on Friday night together. Because we left a bit later and needed to stop for dinner in Martinborough on the way to our destination, we arrived quite late around 10 pm. We were fortunate enough to be hosted Luna's owner, and so stayed in his AMAZING private house on a vineyard itself. If you are interested in what it was like, really DO watch the vlog ABOVE because it was incredible. Very thoughtfully, the fridge had been stocked with food for breakfast, beers and on the bench, waiting for us were two bottles of VERY good Luna Estate wine. Although we were tired, we had a beer each (we didn't think we'd be able to muster up energy or strength to try a whole bottle) and watched a bit of TV together, and explored the house excitedly. The next day, after waking up in the MOST comfortable bed ever (see photo below), we headed to Bluerock Vineyard, just down the Dry Valley Road, to find out how Luna Estate makes its wine. 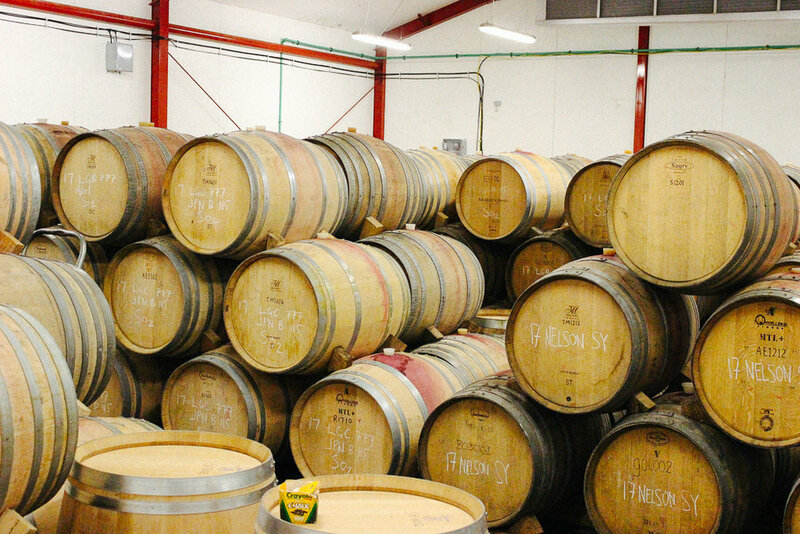 You may have been to a cellar door, but nothing can be compared to actually seeing where wine gets made, from the grape to the barrels themselves. Luna has a significant setup, and we were lucky enough to have the excellent head winemaker Joel give us a tour and explain to us how much work goes into that bottle of wine on your table. Our little while car rollicked along the roads and dipped into the drive towards the vineyard. On arriving, a deafening din was heard - the sound of the machine separating stalks from grapes. It is, in early Autumn, harvest so the guys were hard at work sorting grapes to be made into wine. While we were initially a bit nervous approaching them, Joel quickly looked us up and down and put us at ease. He was an amazing ambassador for the wine and told us EVERYTHING that we wanted to know. Again, watch the video above as he explains how the wine gets produced better than I ever could! I particularly loved his showing us the big plastic vats where 'wild' wine is produced. The whole grape is put in and nothing is done to them. This means that while they're 'natural' wine if something goes wrong, it goes wrong quickly. Natural wine is a growing movement but requires vigilance and monitoring, Joel also showed us the French Oak barrels where the wines are stored, explaining the different times for ageing different wines to taste good. After our tour of the winery, Joel took us in his Ute to the top of a gorgeous hill where even on a misty day we could see down to the vines of Bluerock Estate. He showed us the vines and explained the process from growing to harvest, and the labour involved. I could see Matt getting flashbacks of his vineyard days - it ain't ALWAYS as glamorous as it looks! We then headed across Martinborough to the other block where Luna makes its wine. That's where you've most likely been if you have visited because it is where you can drop in and taste the offerings from Luna. The Cellar Door is open Thursday to Monday 12 pm - 4 pm. We tried many varietals but my favourites were the Rose (a stunner), Blue Rock Pinot Noir (mmm) and Pinot Gris (Grrr!). I even bumped into an old friend from when my mum had a gift shop in Karori (her father also owns a local business) who was visiting Luna Eclipse with her Fiance. After, Matt and I were treated to an amazing platter which we gobbled down (we hadn't had breakfast!). That afternoon we chilled out and napped together, before heading back down the road to a cool new place called Burger Craft. They had amazing burgers to try (the menu changes monthly) and because it was St Patricks Day, Matt had a Guinness! After a rushed start to the day, Matt and I packed up and headed to Greytown to try our hand (and feet) at e-biking on one of the iconic Pashley Bikes you can purchase from Blackwell & Sons. The owner, Adam Blackwell, was so lovely and even had prepared a picnic basket for us so we could have lunch on our journey. He explained that each Pashley Bike, the range they stock exclusively in New Zealand, is hand-built to order by a team of dedicated and experienced craftsmen, who are committed to continuing the tradition of high-grade, skilled British manufacture. "Every one of our bicycles is the result of the combination of traditional design, hand-built quality and modern componentry that comes together to give a wonderful riding experience" explained Adam. I seriously agree. Normally a test drive is for people thinking about buying a bike, so we were pretty chuffed to be asked. E-bikes have an electronic device so you don't need to peddle anywhere near as hard and you can control the speed of the bike. They go up to 30km p/h so you have to be careful! The bikes rode had been selected for us and we were provided helmets. We needed a bit of instruction but after we left, and pushed back the back streets via FreshChoice Greytown's car park so I could practice, we were away. Matt LOVED it and kept zooming off and leaving me behind (which went down VERY well haha). Not only do these bikes move fast, they look great! After a time, we stopped at a nearby farm and had our picnic, feasting on chocolate, sandwiches, water, a special Blackwell & Sons Wine and more. Adam had kindly said we could keep the basket, which was fantastic. His business not only sells bikes, but traditional and timeless accessories, like good bike helmets, keep cups, thermoses, and picnic baskets. Definitely worth checking out. By the time we arrived back, I was determined to get a Pashley at a future point, as was Matt - I have my eye on this wee beauty. 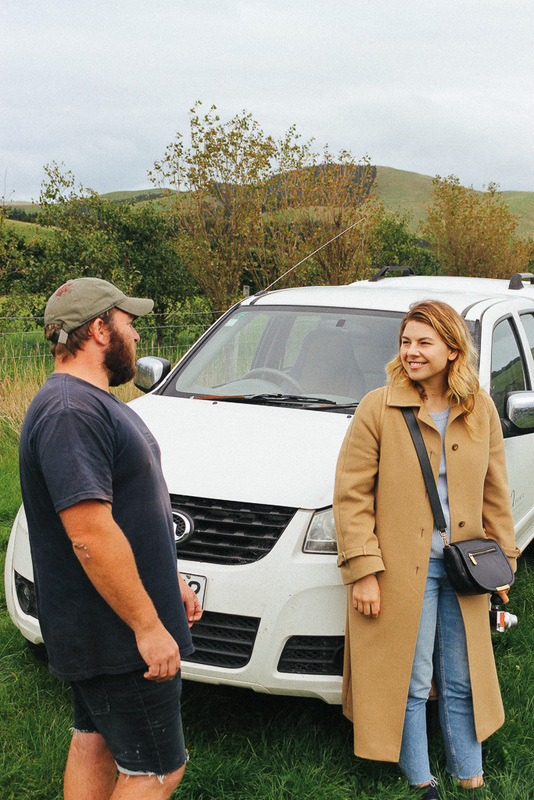 We loved the Wairarapa already, but the weekend hanging out with Luna Estate and Blackwell & Sons helped us fall for it even more. You never know what's out there if you explore what Wellington has to offer, and by stepping outside our normal routine, and experiencing some new industries in the area, we were amazed, excited and inspired. Thanks so much to Luna Estate and Blackwell & Sons for putting this WONDERFUL WAIRARAPA WEEKEND together...and of course, the wine.